Our brands do so well, we believe, because of their consistent high quality and the excellence they add to the enjoyment of our consumers. continues to develop and acquire new brands. one of the fastest growing value Scotch brands in the world and the number one imported spirit in Russia. Our visitor centers continue to reflect the quality and heritage of each of our brands. With more than 20,000 visitors every year, the Château Royal de Cognac, located in western France (Cognac), is the birthplace of France's most illustrious King, Francois I. In 1795, Baron Otard purchased the Château Royal de Cognac to store is eaux-de-vie, understanding that the thick walls of the Château would provide exceptional aging conditions. 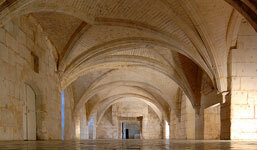 The Château Royal de Cognac, historic monument, is a witness to French History and a Cognac House. We are offering many events possibilities and a variety of Experiences, combining two aspects of history: the history of France and the history of BARON OTARD cognac up to the present day. 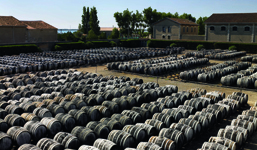 In the south of France, on the shores of the Thau Lagoon, in the Quaint port of Marseillan, la Maison Noilly Prat invites you to enjoy exclusive access to our estate and to share the knowledge of our Cellar Master for a unique visit to our exceptional surroundings: the production site of the French vermouth, Noilly Prat®. 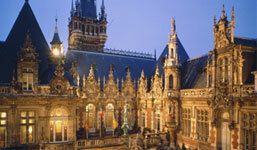 Discover the Noilly Prat brand through our guided tours. Appreciate the beauty of this authentic setting. Taste our different Expressions. Create your own vermouth. 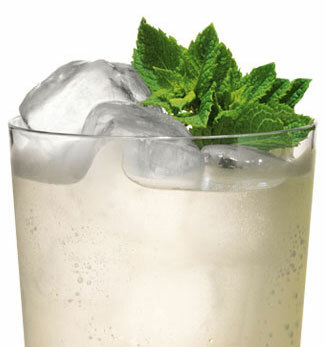 Learn the art of cocktail making. Make the most of exclusive experiences. Or even create your own event. Noilly Prat offers all these possibilities, inviting you to share in the history of our great brand and to experience the awakening of your senses through our range of vermouths. 60,000 people visit the home of NOILLY PRAT every year to discover the unique production process and experience the NOILLY PRAT story. Please e-mail/call for opening hours. We invite you to discover this incredible tale of ancient and contemporary history by exploring our Experiences, that might be cultural, sensorial, or gastronomic. In the very heart of the Palais Bénédictine, the prestigious and highly original Abbots Room is available to host your private functions (meetings, cocktails, dinners, concerts, parties, etc. ).